You get lots of email every day. Doesn’t it seem like most of the emails are pleas to buy this or that, or beg you to check out this product or that product, or reasons why XYZ Company is awesome and you should totally do business with them? We get those same emails. Everyday. But how many emails do you get daily where the sales pitch takes a back seat and the email sender offers to help you? And that’s what you want, right? Help? Answers to your questions. Solutions to your most nagging problems. And how many of those emails know what you need help with? Do they know your business, your pain points? Can they identify with you and your needs? So, let ours be the first email in your in-box today that accomplishes two things: (1) offers to help you with no strings attached by (2) identifying potential problems that exist in your facility and offering cost-saving solutions. We’re betting that a big problem within your facility is soaring energy costs. 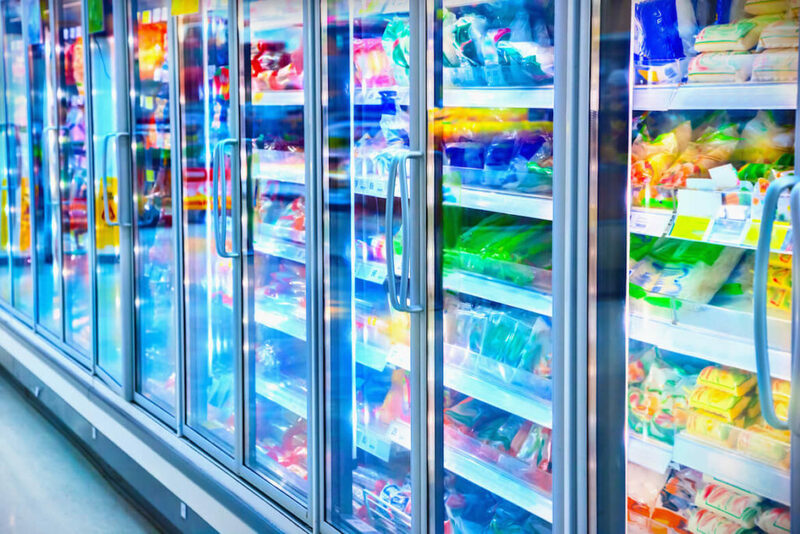 We know, because we talk to maintenance and facility managers just like you everyday who utilize commercial refrigeration and one of the things we hear consistently is that cooling costs are a huge operational expense. We hear that facility/maintenance department budgets are being squeezed to make room for other departments’ programs and services. And we hear that facility and maintenance managers know what’s best for their buildings but are constantly denied the funds they need to make change happen. We’re here to help. Here are 7 no B.S. ways we can cut your utility bill and make room in your budget–by slashing your commercial refrigeration costs. 1. A No Obligation Energy Assessment. We do this for all potential clients. Specifically, we do an analysis of all your refrigerated spaces (walk-ins, reach-ins, etc). We measure the energy you’re using and what you’re paying in cooling costs and compare it to what you could be saving by upgrading to more energy-efficient commercial refrigeration equipment. A lot of clients have no idea the energy they were wasting until we showed them. It’s a real eye opener. 2. No Obligation Recommendations. Based on each client’s unique needs, we recommend the best, most appropriate products for their facilities. These products represent the latest refrigeration technologies that will reduce energy consumption by 50-80% or more. 3. Cradle to Grave, Full-Service Experience. We’re not a wholesaler or retailer that just sells you parts. We are trained engineers that fully understand the products we manufacture and represent. The products are mostly plug-and-play but may still require a level of training. 4. Manufacture, Sell AND Install AND Train. If you have a dedicated staff that can install the product and all you want is for us to ship or deliver the products, fine. For no extra charge, we can arrange to have one of our engineers onsite to train your personnel and troubleshoot. We have experience installing all the products we sell, too. Or, if you don’t have the resources in-house, we can perform the installation for you. Post-install, feel free to contact our Tech Support at no charge should you encounter problems or need additional troubleshooting. 5. QA Testing and Documentation. Unlike others, we test every product that comes in our door before it’s shipped or installed to ensure there are no defects. We also provide a detailed instruction manual. These two extra steps ensure every product we sell and install is top-notch and provides a problem-free experience for our clients. 6. Trade Partnerships. We are proud to be Trade Partners / Trade Allies with electric and third party rebate companies across the U.S. and can therefore offer you cash rebates and incentives for upgrading your commercial refrigeration equipment. Electric companies are feeling the heat to reduce their electricity loads and are highly incentivized to pass savings and rebates on to you, their customers. Also, our equipment is third party approved by such companies as KEMA; CleaResults and Lockheed Martin so the equipment is widely recognized and offer approved methods for reducing energy use. 7. No Paperwork, No Problem. We handle all the paperwork associated with the purchase and/or installation of every piece of equipment, including the five-year warranty that comes standard with every motor and controller. If a product is defective and returned within five years of purchase/install, we replace it right away rather than you having to wait for replacement parts. And, we handle all the paperwork associated with any available rebates from utility companies, too. We fill them out, send them in and the rebate check gets mailed direct to you. It’s all a part of the cradle-to-grave experience you’ll have when partnering with us. So, there you have it. The 7 no B.S. ways we can help you save energy and money with your commercial refrigeration system. By partnering with us, you receive way more than just energy- efficient products that will save you energy and money. You’ll be part of a continual relationship that includes updates on other products and services that can add value and solve problems. We’ll stay in touch to see if there’s anything that you need or ways we can be of service. Okay, so there are two itty-bitty strings attached. First, you must recognize that these refrigeration technologies will save serious energy and money (and you will, once you sign up for an energy assessment), and then you have to purchase the equipment from us. Two small strings that can constitute big savings for your company. For More Information on Refrigeration Technologies, LLC call us at 888-286-3091 to Schedule your No Obligation Energy Assessment.